Around 8:15 p.m. Monday, a caller reported a hit-and-run at Oceano Memorial Campground by Mendel Drive and Air Park Drive. About 15 minutes later, a state parks officer stopped a red van at Highway 1 and Pier Avenue. 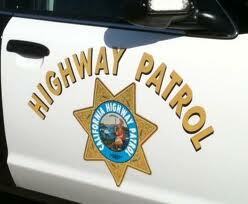 As the officer approached the van, the driver accelerated heading southbound on Highway 1 through Oceano. The pursuit made its way onto Highway 101 in Arroyo Grande, where state parks ended the chase. Later Monday night, CHP officers picked up the pursuit in Santa Barbara County. The chase ended with a standoff in the southbound lanes of Highway 101 south of Los Alamos. Officers took the driver into custody. The incident caused traffic to backup for miles on Highway 101 near Highway 154.